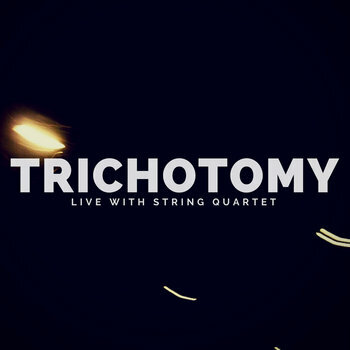 Recorded live at the Declassified Music Festival in Brisbane, this live album features a suite of music composed by Trichotomy for the trio & string quartet. 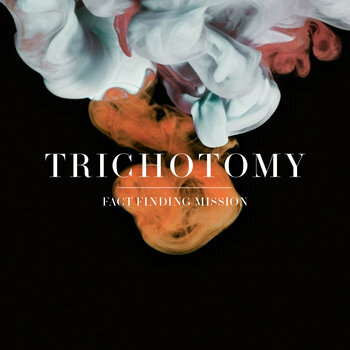 In June 2016, Trichotomy stepped back into the studio to record their 5th album, arriving at the session with a collection of new music that extends the interaction in the trio even further through the use of live electronic manipulation of the acoustic sounds. “The electronics are giving some really interesting depth to the music and allowing us to improvise in new ways”, John Parker explains. “Sam (bassist) is also bringing music to the group, so we’ve got three compositional voices that we can draw on…. It’s a fresh direction for us, but feels like a strong development on what we’ve been cultivating together”. KNOWN-UNKNOWN returns the focus on the trio, with the music rich and deep in dynamic and textural interaction. The opening track “Five” shows the group digging into a relentless bass and piano groove, while “It’s strange coming back” is stunning in the beauty of the melody. “Hemmingways” and “Past Tense” explore meticulously crafted sound worlds through electronics and improvisation, while the disjointed rhythms of “Junk” are compelling. For a group that has been making music since 1999, every album is an opportunity for us to create something new, to test ideas, to challenge ourselves, to break expectations, to bend process, to surprise the listener. This album is our continued attempt at these concepts, and is the collective voice of three musicians operating as one. It’s been a little while in the making… perhaps longer than we had planned…..
We had come to the recording session with a mix of material. Some we had performed live extensively and shaped through those experiences, and there were some new compositions, written specifically for the session and the album. Sure, that is an apt description of the material that we approached over 5 days in June 2016, but more importantly it is a representation of the push and pull within improvised music. The known elements, such as written melodies, harmonies and rhythms are combined with the unknown moments… the collective improvised experience, the dynamic and textural changes that happen in the moment and the collective emergent sound created for this precise time only. For us, the Known and Unknown is the beauty, exhilaration and energy of the music. The music cannot exist without both, and both must remain in balance. Our hope is that you hear into the music, the layers, the moment, and the melody within. 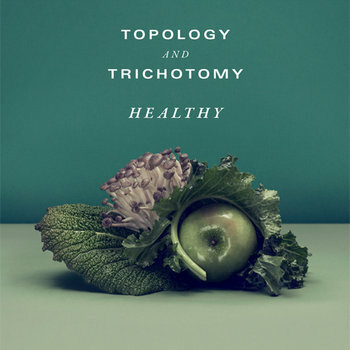 TOPOLOGY is recognised as one of Australia’s leading new music groups. Their energetic, full-blooded sound continues to invigorate and reward listeners with it’s progessive approach to contemporary classical group. Combining Violin, Viola, Saxophone, Piano and Double Bass their music is restless and inventive. 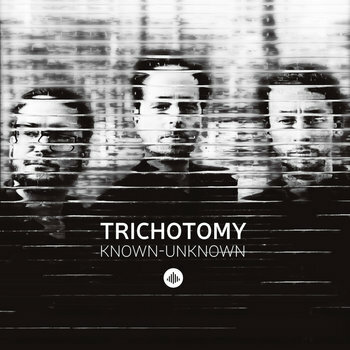 A perfect match for TRICHOTOMY, Australia’s most forward thinking jazz trio. This piano, bass and drums trio is known for forging new path for contemporary jazz in Australia and intenationally. Complex, textural and dynamic, but instantly accessible. “HEALTHY” is just that, the heathy combination of like musical minds. Consisting of a blend of works from composers in each ensemble the resulting album is breathaking. Drummer John’s Parker’s dense rhythmic works “Healthy Lifestyle v3” and “Mean” are perfectly balanced with Saxophonist John Babbage’s alluring “Lost at Sea” and the textural “Generations”. TRICHOTOMY pianist Sean Foran contributes the graceful “A New Beginning” and the APRA Jazz Work of the year nominated, “That which is not fleeting”, a work which constantly surprises with it’s twist and turns.Topology Bassist Rob Davidsons’ “Round Roads” is a landscape of musical ideas, dense and complex yet filled with clarity of expression. To round off the album an inventive arrangement of minimalist composer Steve Reichs’ “Clapping Music”, only without the clapping. The album opens with the upbeat and joyful Strom (meaning stream, current or flow), the catchy The Blank Canvas Part 1 features guitarist James Muller and enhances the albums sense of journey and movement as we set out on our Fact Finding Mission with the trio. The delicate and captivating Lullaby, was written by Parker for his sons. The title track is the most abstract work on the album and utilizes samples, bowed distorted bass, a range of Chinese gongs and other sounds to achieve its chaotic effect. The second track on the album to be inspired by the band’s children, the playful Song For EV, was written for Foran’s daughter and has a delightful rhythmic suppleness. On Civil Unrest (featuring guitarist James Muller and percussionist Tunji Beier) angular melodies and abstract harmonies meld with spacious free improvisations. While The Brook is all about rhythm; contrasting the idea of a dark intense bass groove with a delicate sparse melody. The captivating, rhythmic The Blank Canvas Part 2 transports us through to the beautiful Brick By Brick, which features DVA (Tunji Beier on percussion and Linsey Pollak on reeds) and draws on Eastern European folk melodies alongside modern jazz harmonic movements and freely improvised elements. Pollak’s reeds weave in and out of the trio sounds with Beier’s percussion adding another layer of rhythmic complexity. Dense, but melodically clear, it's a beautiful closer to the album with its sense of melodic finality and earthy folk ideas. 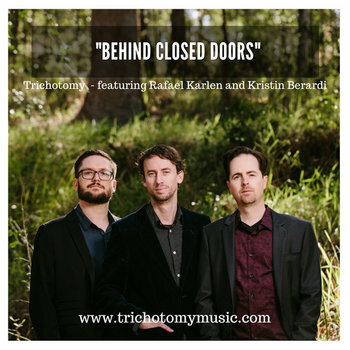 It’s this blend of earthy rhythms, beautiful melodies and the freedom of jazz that makes Trichotomy’s Fact Finding Mission so worth joining! Includes download of the film clip - "STROM"